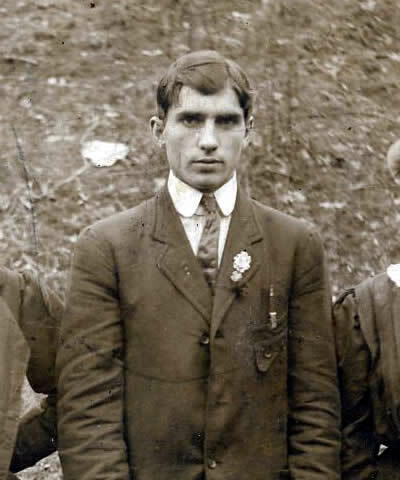 Felix Senter Stanley, son of Noah Larkin Stanley and Nancy Elizabeth Gilliam, was born on 10 Dec 1891 at Clintwood, Dickenson County, Virginia. He married Hiley Victoria Rose, daughter of John H. Rose and Nancy Caroline Salyer, on 14 Apr 1911 at Russell County, Virginia. Felix died on 21 Dec 1919 at Clinchco, Dickenson County, Virginia. He is buried on Sandy Ridge, West Dante, Dickenson County, Virginia.